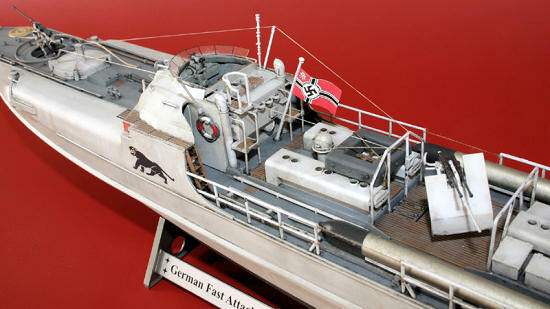 I got some 1/350 WW II German Life Rafts to add to my Bishmarck model but can't seem to find a color picture anywhere. Does anybody know what colors to pain them. Here's a picture of what I have. This is a picture of where they had them. I'm just guessing it would be the same gray color as the ship, maybe a different shade. 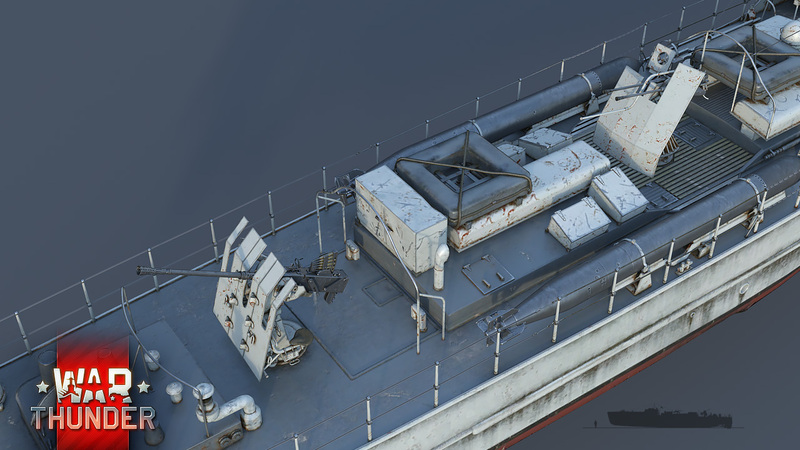 KC, i don't have any colour referances, but i looked through my Kagero 3D book on the Bismarck and they look to be the same colour as the upper hull. But of course they were material not metal so that may change the effect. Those are nice looking rafts, where did you get those. I found them on Ebay, from China. They have their own website and have some very good things at good prices. Bish, when you said something about Bismarck in 3D I remembered seeing them on youtube so I went there to look. Funny thing. On the Bismark they have them and are painted the same color as the ship. All of them seem to be mounted on the walls. But on the Tirpitz 3D they have ever more and are painted in light khaki close to a yellow ochre looking like canvas. They have them mounted to the walls AND stacked up in sets of 4 on the floor with rails making a "box frame" for them. I might do mine that way in the same set up just to change the color a little. I certainly would not 100% rely on colour drawings for accuracy when it comes to colours. If kagero were relying on B&W pics, its possable that Yellow orche rafts were mistaken for the same grey as the ship. I still have a few years before i get to my Bismarck kit and plan to do more research before then, but liferafts is not somthing i had considered. And thanks for the info, i think i will pick up a set of those. Here is a black and white picture of German soldiers leaping into a raft. I would presume the raft is a light grey color, that might be the same as on the Bismarck. Can't remember where I found the Information /reference for the color, but it was out there somewhere. This model was built by Don Jamieson, but he used the same color I did for his liferaft. On this model they are the same color as the deck. These appear to be Anthricsite grey. Bronco model's would have you paint them like this. And, I found a "Color" photo of some. BUT: I have also seen them painted Tan / orange ... And I have seen color photo's of some that were Yellow. The tricky thing here is that there was not just the one rubber boat (or emergency float) factory. 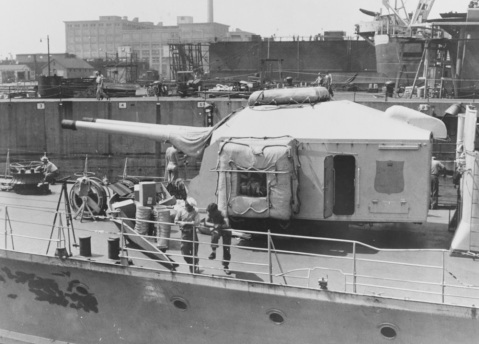 So, a Waffenamt approved raft does not give us much clue as to what Kriegsmarine called richtig. 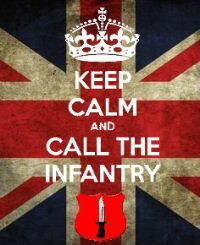 The other item is that Navies are run by Chief Petty Offices, just as Armies are run by sergeants. And Feldwebbel the world over are loath to allow things to Be Painted Incorrectly. 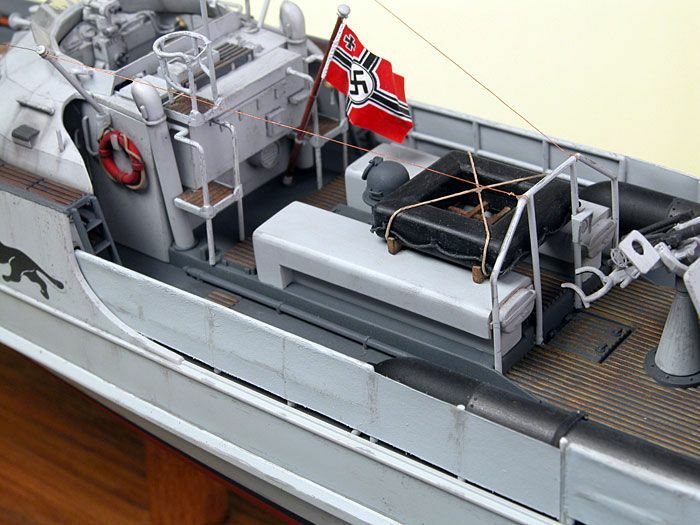 The Stabsfeldwebel his Unteroffiziers also took pride in their ships and wanted them warlike. 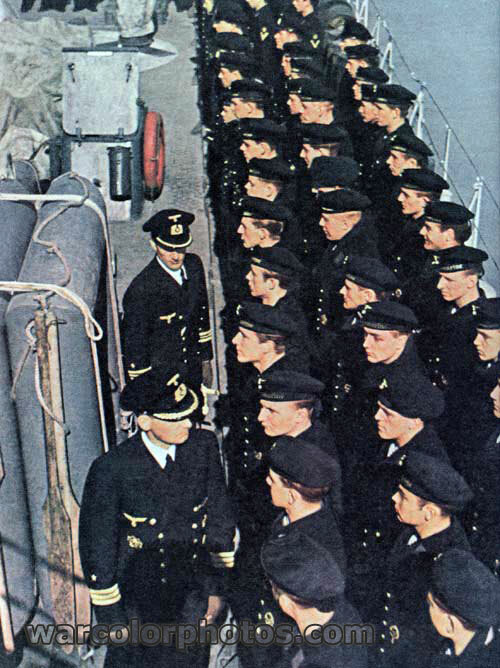 While bright colors might aid rescue in peacetime, the risk of having them match the ship was probably a justifiable one. Modelers are free to do as they please, or as their refernce photos suggest--or not. It's my understanding that DKM life rafts were canvas-covered balsa and kapok. The canvas was (allegedly) painted to match the ship in the location it was to be stored. Or, in the color the maintenace depot or shipyard painted them before installation. I got 2¢, dunno if that helps. Thanks guys!! All this is a real help. I kind of had the feeling they were more canvas/cloth covered in the photos I posted. Those other pictures and what you all said will help me decide what to do.